Est. 1925. 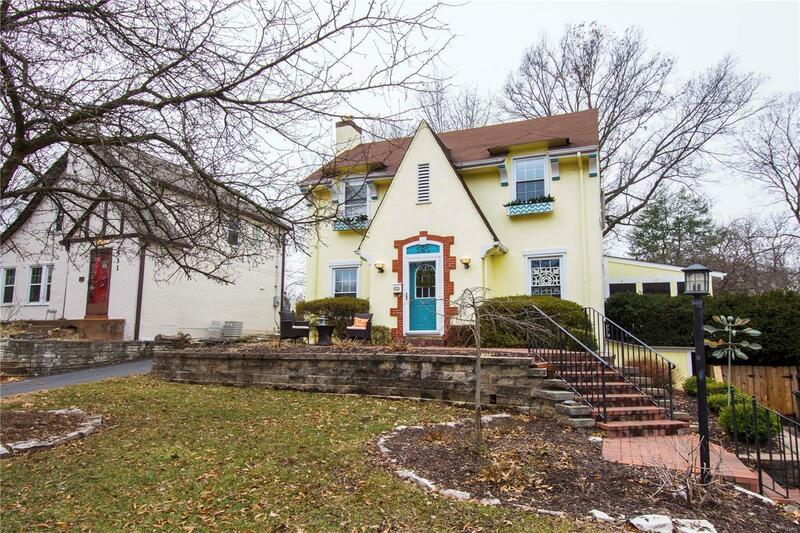 This 2 story charmer located in a sought after neighborhood in Webster Groves offers beautiful hardwood floors throughout. The light filled living room with crown molding flows into the nice-sized dining room. The large, updated kitchen with custom cabinetry, quartz counter tops and center island, and SS appliances opens into the cozy family room with built-ins flanking the gas fireplace along with an updated (2015) half-bath. The 2nd floor offers 4 good-sized bedrooms and 2 newly (2018) updated full baths! The rec room in the LL offers even more living space! Multiple outdoor living spaces including the screened-in porch, deck and large brick patio make entertaining a must! Enjoy the beautiful fenced-in yard, boasting a waterfall fountain and pond, mature, stately trees and established landscaping throughout! Located within walking or biking distance to downtowns Webster and Kirkwood offering great restaurants and shops, don't miss out on this opportunity!